Item # 6006SS Stakker® - 6 Inch Self Support - Henry Molded Products Inc.
Henry Molded Products item # 6006SS is a 6 inch self support Stakker® roll cradle. 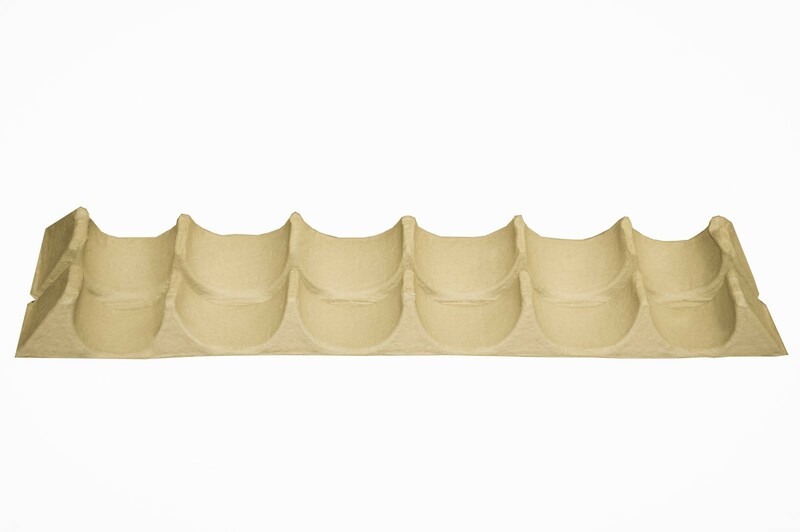 Our specialty self-supporting cradles are designed to sustain the weight of each stacked row by transferring weight to the pulp surfaces. This reduces stress on the products and decreases the risk of roll misshaping. Best example applications are for soft materials (i.e. fabrics and soft poly-films).